The largest cat loss of the year was man-made. The explosion in Tanjian, China, caused more insured losses than any natural catastrophe last year, and was the third costliest man-made disaster for insurers in history. Overall, it was another quiet year for cat losses. See Graphic 1 for an historical look. The Protection Gap was huge enormous gigantic, especially in Asia. See Graphic 2 for the gap between total and insured losses.  Light green = Gap. US losses were primarily driven by non-tropical storms. Nine of the 20 largest global insured losses in 2015 were US storms, including flash flooding, tornados, and foremost, winter storms (#2 globally, after Tianjin). Hail was involved in six of those nine events. 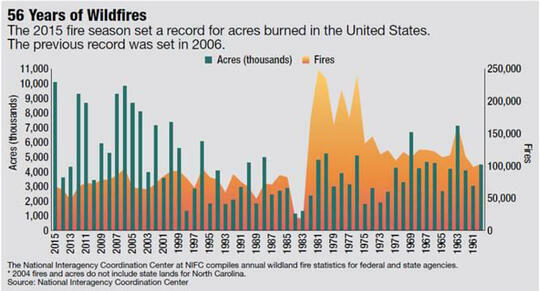 2015 broke the US record for acres burnt. Graphic 3 shows the seven biggest years have all happened since 2004. The largest total economic loss in 2015 was Indonesian wildfire, with a total loss of ~$4.8B (only $210M of insured loss). 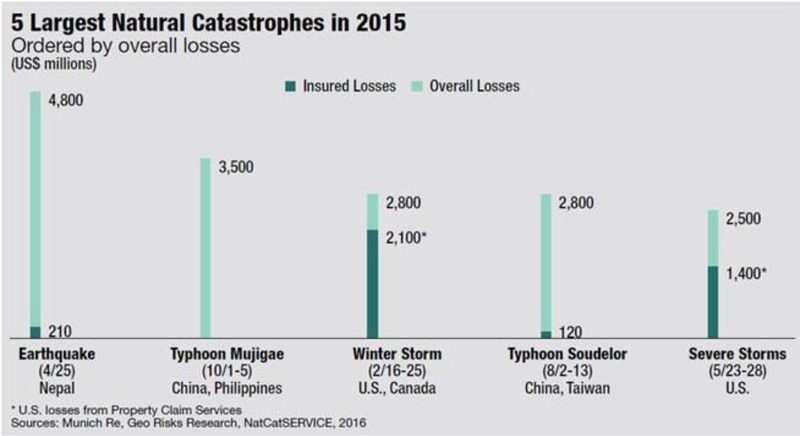 Globally, wildfire matched tropical cyclones for insured losses in 2015. The Valley Fire in California was #9 on the global list of insured losses, with $900+M in claims. Caveat Wildfire! Especially considering the start to 2016, including Fort McMurray (more insured losses already than any nat cat in 2015) and the LA area. These three events included tornados, hail, flash floods, and blizzards. Underwriters should pay attention to this wealth of information, but with caution. Just because something hasn’t happened doesn’t mean it won’t… and just because something has happened doesn’t mean it’ll happen again soon.